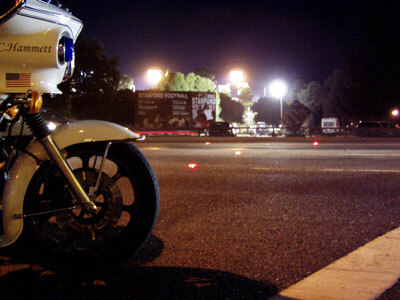 The PowerFlare® Electronic Traffic Safety System Pays for Itself Quickly! The PowerFlare ® Electronic Beacon is a simple and extremely rugged traffic safety device, designed to be used instead of flares. The product features the latest in LED light technology , intelligent electronic circuitry, and unparalleled physical durability to outperform competing products at all levels. Each PowerFlare® unit is about the size of a hockey puck and is strong enough to withstand being run over by motor vehicles (including trucks). In today's world of tight budgets, the PowerFlare® Electronic Beacon system saves you money. Imagine the effect of replacing your department's rechargable flashlights with torches. Your officers would complain about the fumes and fire danger. They would quickly burn up the department budget because torches are not reusable. Incendiary "fusee" flares are as economical and ergonomic as wooden torches. Consider just how expensive it is to use incendiary flares. A single traffic accident (or road closure, special event, etc.) lasting 60 minutes with 10 flares deployed costs $40 in flares alone (at government bulk pricing of $1 per 15-minute flare). How much money does your group spend on flares every year? Then, there are the "hidden costs" of using flares. 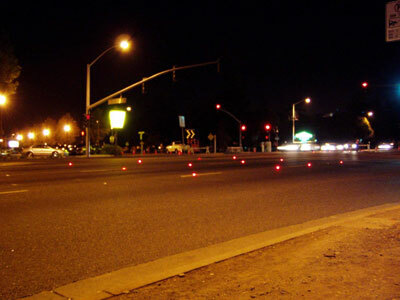 It costs money to re-stripe/repaint road markings after flares char them. 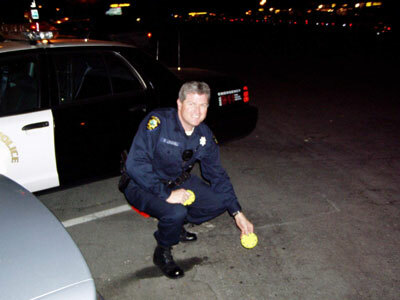 If an officer burns his or her uniform, more budget is wasted. Exposing personnel to the toxic fumes from flares has a cost in lost productivity and health. 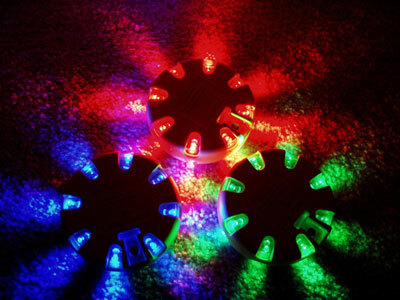 There is also an environmental impact from using old-fashioned flares. Perchlorate and other cancer-causing chemicals in fusee flares. 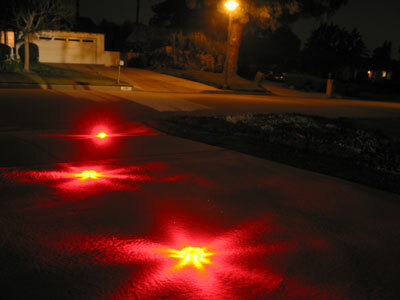 Switch to the PowerFlare® electronic traffic safety system and stop burning cash on flares! 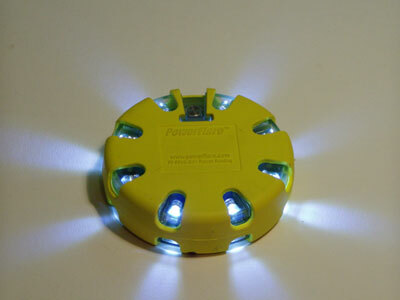 See photos of PowerFlare® units in action. Click an image below to enlarge. Watch video of PowerFlare® units in action. Download a .pdf file of the PowerFlare® benefits overview.